The mind is a mysterious place, and a place where psychologists have only begun to scratch the surface. There are several theories about how the mind works, not molecular but metaphorically. So how do we understand and perceive the world around us? How are our thoughts and understanding shaped each day? 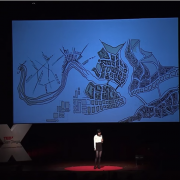 Xiao Xiao, a TEDxSanDiego speaker this past year, offers a simple theory of her own; a method to help understand how we process information. Her explanation of the complex systems of our thoughts, memories, and behaviors come from a simple concept: the mind is like a network of invisible cities, which are linked together through roads (connections with others) and structures (ideas and thoughts). The explanation is so simple, it’s breathtaking. Xiao draws you in by delivering charismatic and funny speeches across the nation about her theories of how the structure of the mind shares many similarities with the structure of the computer codes she has dedicated her life to learning and creating. By combining her passion for music and technology, Xiao has begun to use her background in computer science to create new possibilities for musicians in the future. One project discussed was the possibility to explore the feeling of playing a duet with yourself-20 years in the past. Xiao is a Chinese-American pianist, programmer, and designer, currently a PhD student in the Tangible Media Group of the MIT Media Lab. Her work in computer science is bridging the gap between psychology and engineering, tying in elements of her love of music and expression. Psychologists and neuroscientists alike have been attempting to discover the answer to the fundamental question of why we do what we do since the 19th century. But maybe the question should begin to shift from why we do what we do, to how we do what we do. Xiao begins to answer this question by explaining how she builds cities within her mind. Little factories account for the small, logical processes that occur almost instantaneously, like counting. These small factories begin to build upon each other in a series of connected networks, which serves as a parallel to problem solving with the usage of the basic codes which allow the brain to count, speak, debunk, and more. 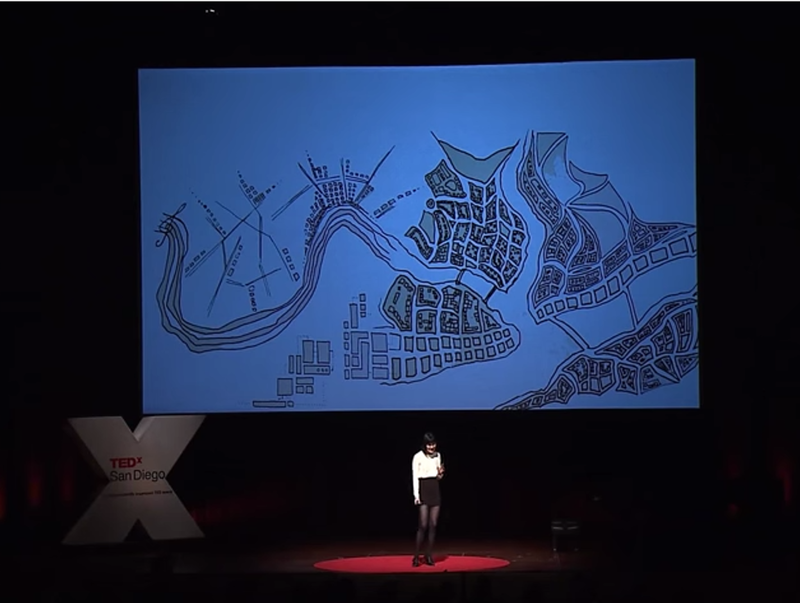 As we attempt to use Xiao’s method to construct cities in our own minds to help us understand, remember, and connect, we are left with the question of how we can help each other build those roads and factories she so beautifully drew for the talk.